Home > Pentax User Gallery > How do they do that ? One of many pictures from the F1 at Silverstone. 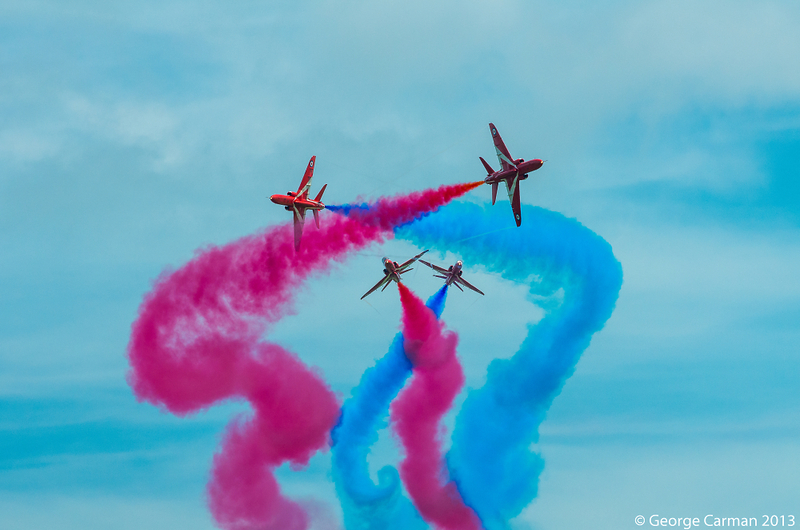 I am always amazed by the skill of the Red Arrows display. Wonderful positioning, you shot this at just the right moment. Fantastic shot, George. I was stuck indoors when the Red Arrows appeared... and escaped just as they completed their final flypast. Great timing, sharp and clear.